Are you looking for cleaning services in Mascot? When it comes to house cleaning and office cleaning Mascot residents can trust, look no further that Merit Cleaning. Serving Sydney’s suburbs for more than a decade, we are the cleaner near you that can be trusted with all your messy jobs. At Merit Cleaning, we adopt a professional, affordable, and hassle-free approach to cleaning. Just need our services for a one-off event like bond cleaning? No worries! Need to retain our services on an ongoing basis? We can give you the regular office and house cleaning Mascot properties need without the burden of a lock-in contract. At Merit Cleaning, the process is always clean and always easy. For office cleaning Mascot managers have relied on time and time again, look no further than Merit Cleaning. Our professionals will thoroughly clean every surface and room for you, boosting office productivity and impressing your clients and customers. You can trust our professional cleaners with your office space because they are all police checked and fully insured for peace of mind. Choose the cleaning services Mascot businesses can turn to in a hurry or rely upon for regular services. Ask us about the office cleaning Mascot offices need today. House cleaning – everyone has to do it, but nobody enjoys it. Well, almost no one. 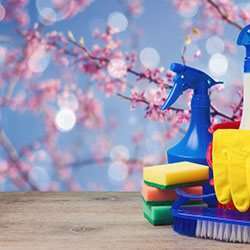 At Merit Cleaning, our residential cleaners pride themselves on treating your home like their own when it comes to house cleaning in Mascot. Cleaning as much or as little as you desire, we can handle common areas, kitchens, bathrooms, bedrooms, and every surface in between. Ask us to create a customised cleaning plan for you or call us to find out more about our satisfaction guarantee. For the office cleaning and house cleaning Mascot needs, call 1300 063 748 or get a quote now!